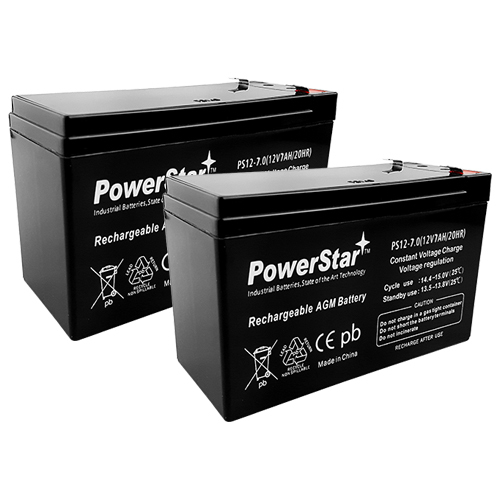 Pack consists of (2) 12Volt 7AH Lead acid batteries Voltage 12 AH Rating 7 Chemistry Sealed Lead Acid Warranty 2 Years. 5.94 x 2.56 x 3.66 12V 7.5 REplacement Batteries. Does not include wiring harness, save and re-use existing wiring harness.